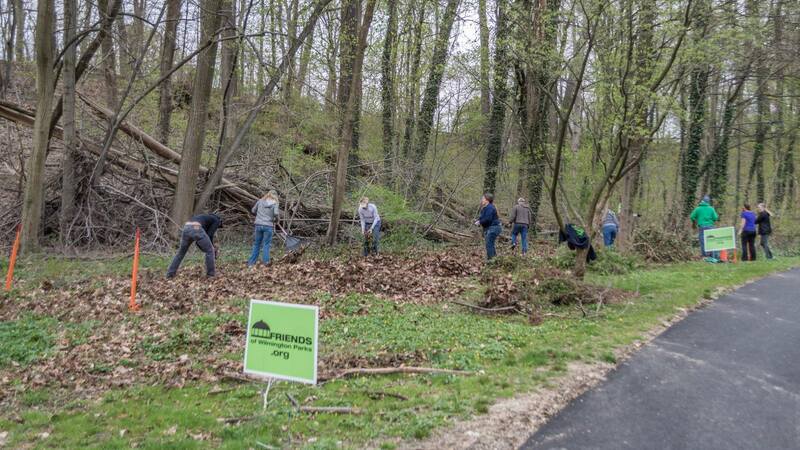 Friends of Wilmington Parks is a 501(c)(3) organization founded in 1991 as a grass-roots organization of supporters who wanted to restore Brandywine Park to its original splendor. 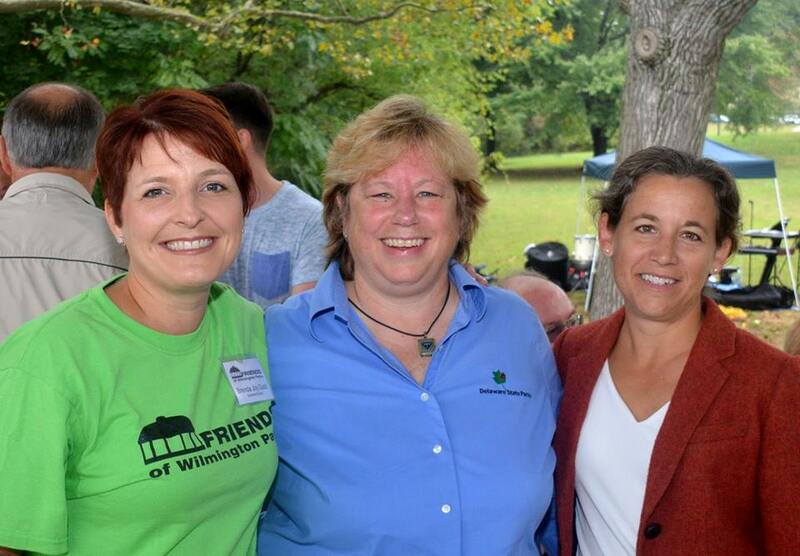 The Friends of Wilmington Parks currently has 500 members, making it Delaware’s largest Friends organization. Working with the State of Delaware Division of Parks & Recreation and the City of Wilmington, the Friends are committed to the preservation and maintenance of the Wilmington State Parks system. Our mission is the sensitive restoration of parkland and historic structures and the support of educational, recreational, and cultural programs for the public. FOWP is committed to maintaining the natural beauty and historic monuments of the Wilmington State Parks, which are part of the Delaware State Parks system: Brandywine Park, Rockford Park, Kentmere Parkway, Alapocas Run State Park, and H. Fletcher Brown Park. The FOWP Board of Stewards is comprised of civic, legal, business, nonprofit, education, financial, and horticultural leaders. Each board member serves a one-year term, and elections occur at the FOWP Annual Meeting in November. Melissa Russell-Payne is a Vice President at Bank of America and serves on the Vendor Strategy & Analytics Enablement team for Client Underwriting & Protection. She first joined MBNA America in 1999 while studying at the University of Delaware and began working full time in 2002 as a Business Lending Account Manager. Melissa proudly serves as Mid East Regional Leader and Executive Council Member of the Delaware Chapter of LEAD (Leadership, Education, Advocacy, and Development) for Women, an Employee Network group at Bank of America. Melissa is also an active member of other Bank of America Employee Networks such as the Environmental Network, NAPN (Native American Professional Network), and HOLA (Hispanic/ Latino Organization for Leadership and Advancement). Melissa served as a coach for Girls on the Run. Additionally, Melissa completed a fellowship with the Leadership Delaware, Inc. Program in 2011, and served as a member of the inaugural Alumni Advisory Board. Melissa resides in Trolley Square with her husband and enjoys visiting the parks with her dog. Kathleen lives in the Ninth Ward area of Wilmington just a mile walk to Brandywine Park. She is very active in the community as a volunteer. Kathleen’s first introduction to Friends of Wilmington Parks was at a Rose Garden Party. She joined the Friends and served as the Administrative Assistant. She most recently served as a Steward and Board Secretary. Kathleen enjoys exploring our Wilmington State Parks and beyond on foot and bicycle. David Sorber is a lifelong resident of the Wilmington area. A graduate of St. Edmonds Academy, Salesianum School, and the University of Delaware, he has been a member of the Friends board since 2000. He has been a banker in Wilmington for over 40 years and is currently Senior Mortgage Loan Officer at Citizens Bank. He and his wife Marie live in the Delaware Avenue neighborhood near Brandywine Park. He and his dog Max are daily park walkers. Blair is a Vice President at Bank of America and serves on the Vendor Strategy & Analytics Enablement team for Client Underwriting & Protection and has served in a variety of roles supporting Consumer Card Underwriting since joining the company in 2007. Blair resides in Trolley Square. She is active within the Year Up Wilmington organization which strives to close the opportunity divide. In her spare time she likes to spend time with family and friends, traveling and enjoys the outdoors with her dog. President, Bruce Realty Co., Inc.